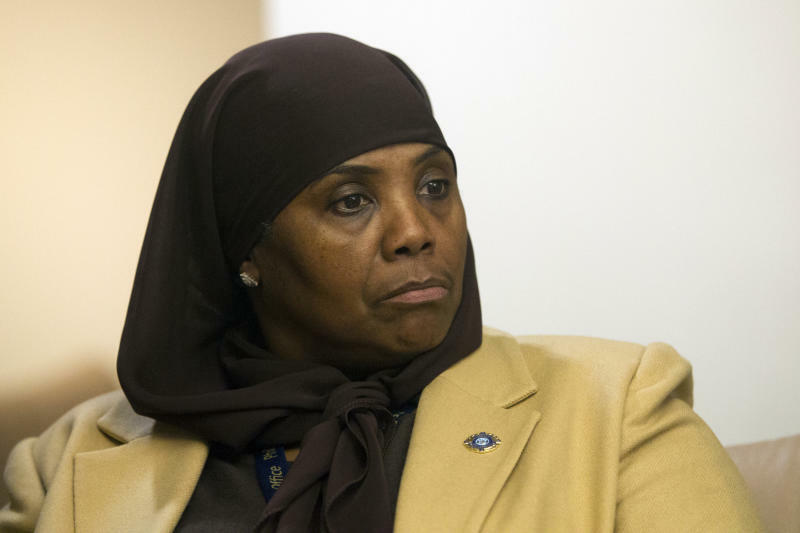 HARRISBURG, Pa. (AP) — The first female Muslim member of the Pennsylvania House of Representatives said Tuesday she was offended by a colleague's decision to open a voting session with a prayer a day earlier that "at the name of Jesus every knee will bow." "I thought that for the most part, the entire invocation was offensive," Johnson-Harrell told reporters, noting that her own religion respects Jesus. "But to use Jesus as a weapon is not OK."
Borowicz, a Republican and associate pastor's wife who was elected to represent a rural central Pennsylvania district in November, also thanked President Donald Trump during the Monday invocation for standing behind Israel. Johnson-Harrell said she respects everyone's right to praise the president, but "we cannot weaponize what's going on with Israel and Palestine." 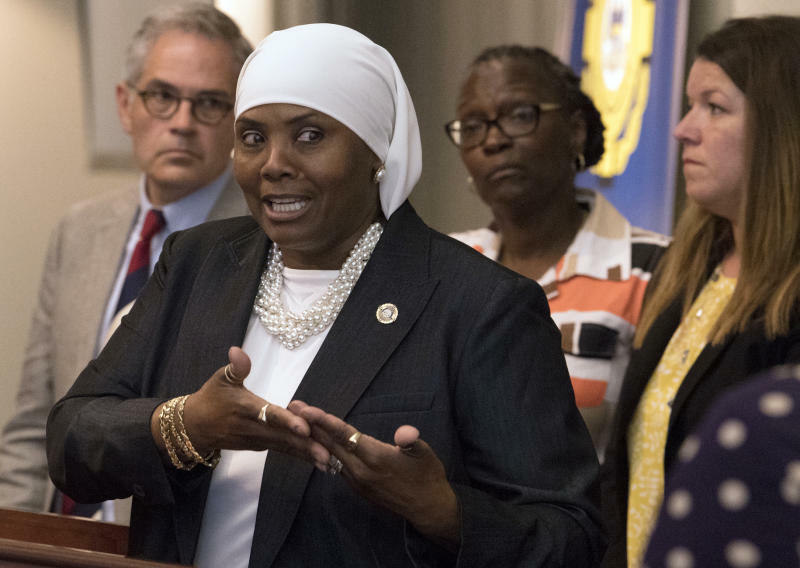 "It was directly a political statement, and I think we need to be very, very clear that everybody in this House matters, whether they're Christian, Muslim or Jew, and that we cannot use these issues to tear each other down," Johnson-Harrell said. "And not only that, it was made during my swearing in." Borowicz defended her remarks Monday, saying, "I pray every day. I prayed." She did not immediately return a message seeking a response to Johnson-Harrell's comments Tuesday. "At the name of Jesus every knee will bow and every tongue will confess, Jesus, that you are Lord," Borowicz said on Monday. Her floor remarks drew a rebuke from Democratic Leader Frank Dermody of Allegheny County, who called Borowicz's invocation "beneath the dignity of this House" and asked that a group be set up to review the procedure. Democratic Gov. Tom Wolf said Tuesday he was "horrified" by Borowicz's invocation and apologized to Johnson-Harrell on behalf of all Pennsylvanians. "I was horrified. I grew up in Pennsylvania. Pennsylvania was founded by William Penn on the basis of freedom of conscience. I have a strong spiritual sense. This is not a reflection of the religion I grew up in," said Wolf, a Methodist. After Borowicz's comments on Monday, Turzai read for House members the guidance that has previously been provided to religious professionals about keeping remarks respectful of all religious beliefs and refraining from commenting on extraneous matters.